The final race is on for the most popular segments of the 41st Observer-Mobitel Schoolboy Cricketer of the Year. The most popular segment is on its final stages with heavy voting for the leading contestants. Theeksha Gunasinghe of St. Anthony’s College, Katugasthota leads in the Observer-Mobitel Most Popular Schoolboy Cricketer of the Year. In the second place is Sukitha Manoj of St. Sebastian’s College, Moratuwa followed by M.A. Lakshitha of Nalanda Vidyalaya. But Isuru Tharaka of Galahitiyawa Central sprang last week’s biggest surprise by moving to fourth place from sixth place in the previous week. In the Most Popular Schoolgirl Cricketer contest, Sithmi Hirasha of Anula Vidyalaya, Nugegoda takes a thrilling lead over second placed Sathya Sandeepani of Devapathiraja Vidyalaya. When the resounding success story of the Observer-Mobitel Schoolboy Cricketer of the Year is talked about, one cannot forget the humble beginnings it had. Although the first formal event was held in Colombo’s Nawarangahala in 1979, the first-ever Observer Schoolboy Cricketer of the Year was held the previous year in Galle. Incidentally, Ranjan Senerath Madugalle of Royal College was picked the Observer-Mobitel Schoolboy Cricketer of the Year on both occasions. The 1978 Observer Schoolboy Cricketer of The Year Contest was held at the Galle Esplanade. It was quite appropriate in having the show in Galle as Upul Sumathipala of Mahinda College, Galle was crowned the first-ever Outstation Schoolboy Cricketer of the Year. In both years, Roger Wijesuriya of Sebastian’s College was the runner-up. Both of them had a prolific record representing their respective schools which resulted in them finding a place in the Sri Lanka World Cup team in 1979 in England. Madugalle who led an unbeaten Royal team, in addition to winning the main award was also picked as the Best Captain and Best Batsman and runner-up in the Best Fielder category during a highly successful season. A panel of umpires comprising Camillus Perera (Chairman), Vernon Tissera, Gilbert Perera, Allan Felsinger and KT Ponnabalam picked the winners at the Colombo Cricket Club (CCC) pavilion at the selection committee meeting held there. The short listed contestants for the Schoolboy Cricketer of the Year 1978 were Prasanna Amarasinghe (Ananda), Ranjan Madugalle (Royal), Shammy Rajendra (Wesley), Roger Wijesuriya (St.Sebastian’s) and Selvaraj Dinesh (Trinity). In the Best Batsman category were Prasanna Amarasinghe (Ananda), Rohan Buultjens (St. Peter’s), Ranjan Madugalle (Royal), K. Sabaratnam (St. Benedict’s), Dilanjan Jayasekera (Wesley), Roger Wijesuriya (St. Sebastian’s), Wirantha Fernando (Prince of Wales), Upul Sumathipala (Mahinda), Shammy Rajendra (Wesley) and Russel de La Motte (St. Anthony’s, Katugastota). 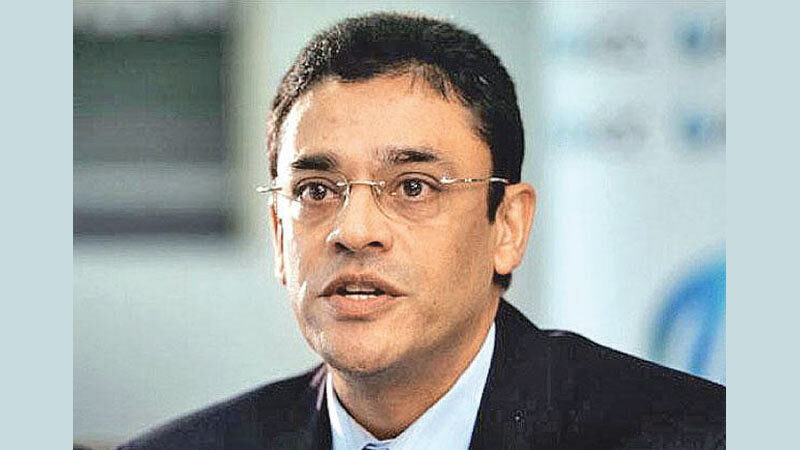 Out of them, Ranjan Madugalle became the Best Batsman while Prasanna Amarasinghe was the runner-up. Prasanna Amarasinghe (Ananda), Susantha Karunaratne (Nalanda), Lakshman Aloysius (St. Joseph’s), Vinothan John (St. Peter’s), A. de Alwis (Royal), Gihan Perera (St. Benedict’s), Ashantha de Mel (Isipathana), Roger Wijesuriya (St. Sebastian’s), Selvaraj Dinesh (Trinity) and Suhada Fernando (Thurstan) were short-listed for the Best Bowler’s award. Ashantha de Mel, who went on to play for Sri Lanka, won the Best Bowler’s award with Gihan Perera runner-up. Incidentally, De Mel claimed Sri Lanka’s first ever Test wicket, that of Geoff Cook of England, in the first ever Test played at the Sara Stadium in February 1982. The short-listed for Best Fielder were Prasanna Amarasinghe (Ananda). Hemantha Devapriya (Nalanda), Lakshman Aloysius (St. Joseph’s), Ranjan Madugalle (Royal), Shammy Rajendra (Wesley), Ashantha de Mel (Isipathana), Roger Wijesuriya (St. Sebastian’s), Wirantha Fernando (Prince of Wales), Andre Tissera (Trinity) and Russel de La Motte (St. Anthony’s, Katugastota). Ultimately, Hemantha Devapriya won the Best Fielder award while the runner-up was Ranjan Madugalle. Prasanna Amarasinghe (Ananda), Ashantha de Mel (Isipathana), Roger Wijesuriya (St. Sebastian’s), Andre Tissera (Trinity) and Selvaraj Dinesh (Trinity) were short-listed for best all-rounder award. Roger Wijesuriya became the best all-rounder with Prasanna Amarasinghe as runner up. Ranjan Madugalle (Royal), Andre Tissera (Trinity), Susantha Karunaratne (Nalanda), Gihan Karunaratne (Ananda) and Shammy Rajendra (Wesley) were short listed for the Best Captain slot. Madugalle was named Best Captain while Trinity skipper Tissera was the runner up. Sri Lanka’s oldest and premier newspaper publisher the Lake House will once again continue its rich traditions with the 41st edition of the Observer-Mobitel Schoolboy Cricketer of the Year contest to be held soon. It was the Sunday Observer which had been in the forefront of promoting sport, especially school cricket. In fact, the Sunday Observer understood the need to recognize the achievements of schoolboy cricketers at a time where there had not been any formal inter-school under-19 two-day league tournament. Playing its true corporate social responsibility role as the country’s flagship English newspaper – the Sunday Observer gave birth to the country’s first-ever schools cricket awards ceremony some four decades ago. It was a fitting tribute to the then Royal College captain Ranjan Madugalle who led the Reid Avenue boys in the centenary Battle of the Blues cricket encounter against S.Thomas’ in 1979. Incidentally, it was the country’s first-ever three-day inter-school cricket match. Crowning Madugalle as the first-ever Observer Schoolboy Cricketer of the Year was a memorable and a great beginning not only to the prestigious contest but also to the first-ever recipient of the title who later conquered world cricket to end up as Sri Lanka captain and now the Chief Match Referee of the International Cricket Council. The Mega Show, during the four decades of its cherished history, has produced some of the legendary cricketers that Sri Lanka has ever produced, including the country’s 1996 World Cup-winning captain turned minister Arjuna Ranatunga, world’s highest wicket-taker in Test cricket Muttiah Muralitharan and the most valuable player of the 1996 World Cup tournament in which Sri Lanka emerged champions, Sanath Jayasuriya who later played an equally important role as the chairman of selectors. Besides the four recipients, the Observer Schoolboy Cricketer of the Year contest has baptized some of the most outstanding players to the big league – 1996 World Cup star Asanka Gurusinha, former captains Roshan Mahanama and Marvan Atapattu to name a few. Ever since the inception of the tournament, winning the prestigious Observer Schoolboy Cricketer of the Year title has been the dream of every schoolboy cricketer as they generally believe that the prestigious title would take them closer to a Sri Lanka ‘cap’. Most past winners of the Observer Schoolboy Cricketer of the Year title had made their Sri Lanka debut in next to no time, some of them just months after winning the ‘crown’. The Mega Show will be conducted by the Sunday Observer and sponsored by Sri Lanka’s national mobile service provider – Sri Lanka Telecom Mobitel. It’s not just another cricket awards show! It will be a show to beat all shows. The entry of Sri Lanka Telecom Mobitel as the sponsor 11 years ago added value to the Mega Show, improving the standard of the event from solid trophies to larger cash awards. The Observer-Mobitel partnership which celebrates its first decade this year not only recognizes the achievements of schoolboy cricketers but also to reward their coaches and masters-in-charge, who play a silent role in molding the next generation champion cricketers. It is heartening to see several others following the Sunday Observer’s great initiative by hosting similar events. We are indeed happy to see more and more school cricket award shows being held as the great game of cricket would be the ultimate winner. But the Observer Schoolboy Cricketer of the Year remains the ‘Mother of all Shows’. SLT Mobitel’s Chief Executive Officer Nalin Perera has always extended his fullest support to keep the Mega Show alive and kicking, along with the SLT management, spearheaded by its chairman P.G. Kumarasingha. The Lake House (ANCL) management, led by its Chairman and Managing Director Krishantha Cooray, has teamed up with SLT Mobitel to keep the Mega Show alive.